Controversial: The health watchdog NICE has called for more obese people with the condition to be considered for a gastric band or bypass. Free weight-loss surgery could be offered to nearly a million diabetes patients. The health watchdog yesterday called for more obese people with the condition to be considered for a gastric band or bypass. At a stroke, NICE’s ruling doubles to 1.8million the numbers qualifying for taxpayer-funded surgery. But campaigners said it was wrong to offer operations costing £5,000 when the NHS faces a £30billion deficit and NICE is denying cancer patients life-extending drugs. They warned the obese should instead be told to eat less and exercise more. ‘We’ve got a mismatch between what NICE recommends and what the country can afford,’ said Tam Fry of the National Obesity Forum. The surgery covers procedures including gastric bands and gastric bypasses, where the digestive system is rerouted past most of the stomach. NICE said a gastric bypass on the NHS costs £5,410 and a gastric band £2,473. Weight-loss surgery is given to patients who are morbidly obese with a body mass index score of more than 40. It is also offered to those who have a BMI over 35 with another serious health condition, such as type 2 diabetes. Around a million people qualify under these rules – although in practice only around 10,000 operations are carried out every year. But now NICE is suggesting that diabetics with a BMI score of 30 or more should be considered for an assessment for weight-loss operations on the NHS. Diabetes UK says the new rules mean between 850,000 and 900,000 extra people could qualify. It will be up to individual clinical commissioning groups, which hold local NHS budgets, to decide whether the surgery should be funded in their areas. Britain is in the grip of an obesity epidemic and 2.9million people now have diabetes, a condition which in its type 2 form is linked to poor lifestyle. Mark Baker, director of clinical practice at NICE, said: ‘Obesity rates have nearly doubled over the past ten years and continue to rise, making obesity and overweight a major issue for the Health Service. NICE says that by losing weight patients can reduce the damaging consequences of diabetes, such as the risk of blindness or heart attack. 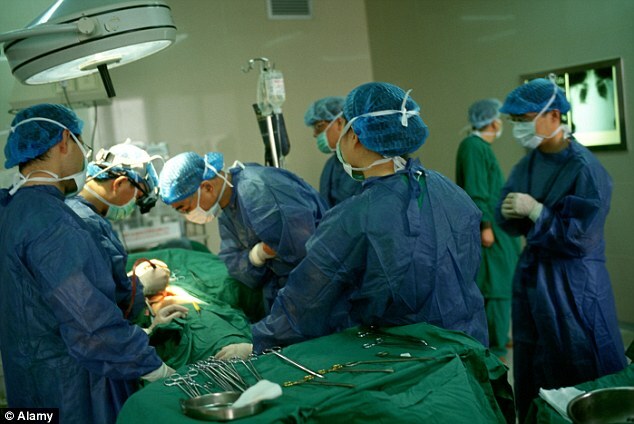 Its guidance states that an operation is repaid in savings to the NHS within three years. After that, there are gains of around £4,000 per year per patient. Simon O’Neill, from the charity Diabetes UK, said: ‘Bariatric surgery should only be considered as a last resort if serious attempts to lose weight have been unsuccessful and if the person is obese. ‘It can lead to dramatic weight loss, which in turn may result in a reduction in people taking their type 2 diabetes medication and even in some people needing no medication at all. This does not mean, however, that type 2 diabetes has been cured. The BMI score is a simple measure based on height and weight with a score higher than 25 indicating overweight and 30 or more being judged as obese. Latest News: 3 x More Surgery in UK? Gastric Bands – Do They Work? Diabetes – Is WLS The Solution for Some?